﻿Stan Goldberg's 65 year career in comics began in 1949 when he joined Timely Comics at the age of 16 as a staff colorist. In a few short years Stan was promoted to color department manager, where he colored interiors and almost every Marvel cover throughout the 1950s and early 1960s. Known to comic book fans as “Stan G”, he was also the color designer for all the classic Marvel super heroes and villains of the 1960’s, including Spider-Man, The Fantastic Four, The X-Men, and The Hulk. 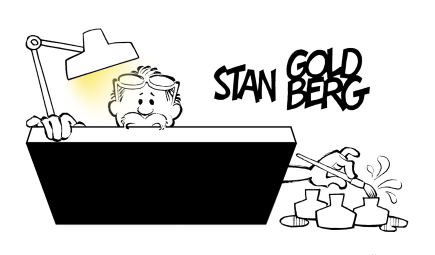 Stan soon became more than a colorist. A gifted artist, he also became the “”go to guy for illustrating Marvels very successful romance comics such as Patsy Walker, My Girl Patsy, and Millie the Model. Stan worked very closely with Stan Lee in co-plotting Millie adventure stories and quite often writing entire plots. ﻿In 1968, Stan left Marvel to peruse new opportunities and for the next three years he drew the teen titles Debbie, Scooter, and Binky for DC Comics. It was also in the late 1960's that Stan began his more-than-40-year career with Archie Comics. 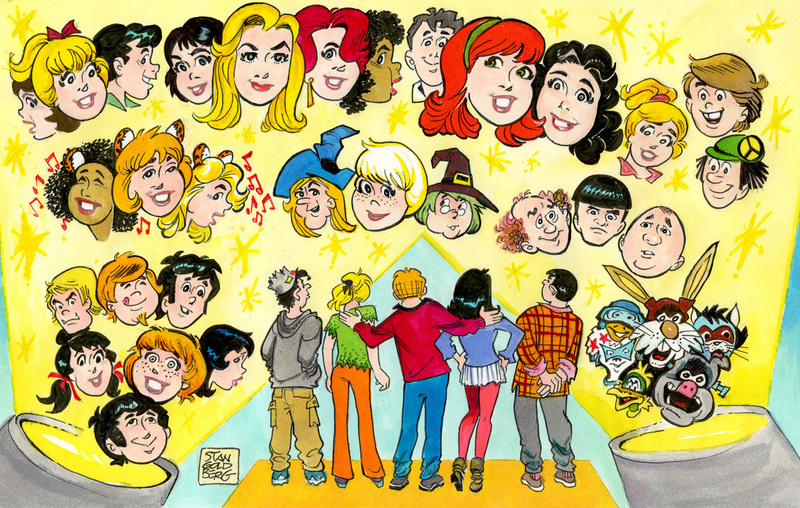 Over the course of his 40-plus years at Archie, Stan drew every title Archie published, and became a master storyteller through his beautifully illustrated pages. Never one to rest on his laurels, Stan always felt that his work could and should improve and prided himself on staying current and always learning from the artists he admired and befriended during his career. Stan was never afraid to let the editors know when a story was not quite up to standards and prided himself in keeping the reader in mind at all times. 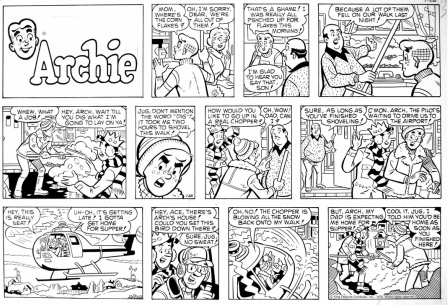 Some of Stan's highlights from his career with Archie include: illustrating the Archie Sunday newspaper strip from 1975-1980 after the death of Archie creator Bob Montana, illustrating the Archie characters in the Archie Meets the Punisher crossover comic between Archie and Marvel, and illustrating the hugely successful 6 part Archie Marries series in 2009 and 2010. Stan’s other work outside of Archie included Captain Carrot for DC comics, activity and storybooks for various independent publishers and magazine illustrations for National Lampoon, Child, Redbook, Seventeen, Ms., Working Woman, and many others. In 2010, IDW Publishing released “The Best of Stan Goldberg” featuring Stan’s 40-plus years working for Archie Comics, which coincided with Stan’s last big job with Archie comics, “Archie Marries,” issues 600 to 605. “Archie Marries” was a groundbreaking story line that became one of Archie Comics’s most successful comic series in its history. It also was the beginning of the end of Stan's career with Archie. He was forced out after two of Archie’s longtime publishers died within a year. In 2012, Stan was awarded the highest honor in the comic book world, The Gold Key Award from the National Cartoonist Society (NCS). The Gold Key, awarded by unanimous vote of the NCS Board of Directors, honors the recipient as a member of the NCS Hall of Fame. Never one to stop working, Stan continued to draw. Most recently, Stan worked on several graphic novels, including Nancy Drew and the 3 Stooges.